Jinny Beyer lives on a 250-year-old Virginia farm, tucked away in the woods outside our nation's capital. The location suits her many interests as artisan, athlete, gardener, writer, and, yes, quilter. Jinny's success is well known within the quilt world, but she has also received awards in debating, Little Theater, and running, which she took up at age forty, writing How to Run a Six-Minute Mile in 1984. Surprisingly, she also knows Morse code, operates a ham radio, and plays the sitar. John, her husband of more than forty-five years, comments, "If Jinny is sitting on the couch doing nothing, she must be sick!" Jinny juggles many professional duties as designer, author, teacher, quilter, and lecturer. Perhaps that is why it is so amazing that Jinny has exclusively pieced and quilted her creations by hand since the early 1970's, "This is my quilt to last a lifetime. I am in no hurry. I can catch my breath," explains Jinny. Of course, many have advised Jinny to use a machine to be more prolific, but she has never wavered in her commitment to handwork. She recommends that people always have a hand-piecing project to carry with them for those inevitable waits at doctors' offices, airports, car repair shops, or soccer fields. In fact, Jinny mentions, "I don't remember not having a project going even when I was very small." Her mother, Polly Kahle, an artist, taught Jinny and her three sisters to to sew and knit when they were quite young. At the age of five, Jinny would sit quietly sewing or knitting while her mother shopped for groceries. A very creative family, the Kahle women spent hours together doing crafts and needlework. This handwork, which kept Jinny busy while growing up in Colorado and California, gave her a firm foundation for her future success. Jinny also has a love of gardening and cares for a variety of flowers, fruits, and vegetables,. In her yard she designed a formal "quilt" garden laid out like a medallion quilt, with each flowerbed serving as one point of a large star. There is fountain in the middle with a mosaic star as the central focus. Nature's shapes and colors have a great influence on her work as a designer. Often the inspiration for her textile designs begins in her garden, where she selects leaves and flowers to scan into her computer, then manipulates their dimensions and colors to create the final designs for her fabrics. Born Geraldine Elizabeth Kahle in Denver, Colorado, Jinny later moved to California with her family. In 1962 she married John Beyer, and the following year, she graduated with a B.A. in Speech and French from the University of the Pacific in Stockton, California. In 1964, she earned an M.A. in special education at Boston University. With this credential, she offered to volunteer with the Malaysian Department of Education and, through their assistance, began a program for the deaf in Kuching, Sarawak, one of the many places where Jinny, her economist husband , and their three children have lived. Wherever they lived abroad Borneo, Nepal, India and South America-Jinny would sew clothes for the family with local fabrics. In India, she became fascinated by the dark, richly colored hand-blocked prints sold by the piece. Each piece always has a border on it. Shortly before leaving India in 1972, Jinny was seeking a new project. When a quilter gave her a Grandmother's Flower Garden quilt pattern, she began her first quilt by cutting out 600 hexagons of Indian fabrics in reds and blues. Jinny considers herself lucky to have started quilting in India, because she was not influenced by American fashions or rules. When she returned to the United States, she had to learn how to quilt the top and bind it. But she was unable to locate other quilters until she was fortunate to discover Hazel Carter's quilt meeting near her home. When Jinny brought out her unusual Indian Grandmother's Flower Garden quilt top with the navy background, the other quilters were very surprised at her color choices, but it was well received. The "Jinny Beyer look" was born, first with her quilts, and later with a line of fabrics featuring prints in rich, colors, border prints, and geometric patterns, made with textiles that still evoke an Indian influence. Hazel Carter encouraged Jinny to enter the 1976 Quilter's Newsletter Magazine's Bicentennial Quilt Contest. Her red, white, and blue Bicentennial Quilt became a top prizewinner. The center star medallion contains fifty five-pointed stars, surrounded by an outer border consisting of eighteen blocks with historical significance. In 1978, Jinny entered Good Housekeeping magazine's Great American Quilt Contest, winning first prize for her Ray of Light quilt, which catapulted her to national fame. This stunning quilt with an intricate Mariner's Compass design was named for her daughter's Indian name, Kiran, which means "ray of light". Jinny hand-pieced the quilt with unusual American and batik prints and heavily hand-quilted it. This magnificent medallion quilt was photographed on the lawn in front of the Governor's Palace in Williamsburg, Virginia, as was featured in Good Housekeeping's March 1978 issue. Reflecting on the creation of Ray of Light, Jinny remembers that she was hand-quilting it right up until the UPS man knocked on the door. She had worked on it for ten months straight to meet the contest deadline. Jinny soon became an author, writing Patchwork Patterns in 1979 and The Quilter's Album of Blocks and Borders in 1980. All of the attention bestowed upon Ray of Light revived the antique medallion style quilts. Jinny's third book, The Art and Technique of Creating Medallion Style Quilts. Jinny's third book, The Art and Technique of Creating Medallion Style Quilts, was published in 1982 inspiring others to create their own masterpieces. The Scrap Look, published in 1985, was followed by a book of her original designs, Patchwork Portfolio in 1989. 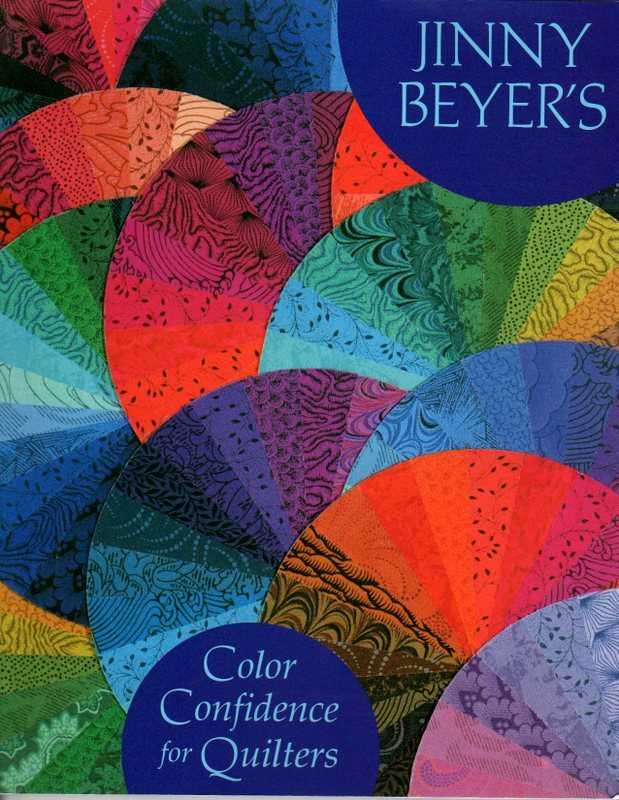 One of her most widely read books is Color Confidence for Quilter, published in 1992. 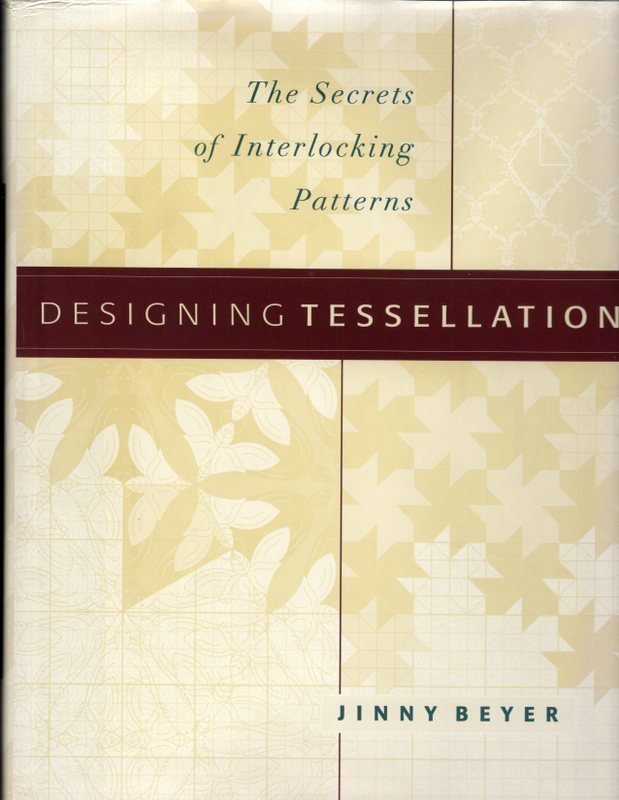 Soft Edge Piecing followed in 1995, Christmas With Jinny Beyer in 1996, and Designing Tessellations The Secrets of Interlocking Patterns in 1998. There was a small break between books before Quiltmaking by Hand: Simple Stitches, Exquisite Quilts was published in 2004. This book was published during the development in the quilt world of long-arm quilting and the increase of two-person quilts, and it was a call back to hand piecing, a wonderful "how to" for beginning hand piecers and a validation for those who were hand piecing. This book was followed by Patchwork Puzzle Balls in 2005, the encyclopedic The Quilter's Album of Patchwork Patters; More than 4050 Pieced Blocks for Quilters in 2009, and The Golden Album Quilt in 2010. Beyer has also completed several videos, including Palettes for Patchwork, Mastering Patchwork, and Color Confidence. Jinny's sons, Sean and Darren, recall her teaching quilting classes at home, with neighborhood women coming and going on a regular basis. As her reputation grew, Jinny was asked to teach classes father away. She is now sought after as an international teacher, making several foreign trips each year. She has taught in Asia, Australia, New Zealand, Europe, Canada and even Iceland. In 2000 , she lectured in Stockholm at a convention of mathematicians and artists on the topic of symmetry. As of 2010, Jinny had been invited to teach at a quilt seminar in Australia every year for five years and in the Ukraine for three years. Recently, she has been the guest quilt teacher on tour to see quilt-inspiring aspects of India, with trips to Morocco and Ireland planned in the future. The Jinny Beyer Seminar on Hilton Head Island in South Carolina was an annual event for twenty-nine years from 1981 until 2009. Many of Jinny's innovative techniques, such as Soft Edge Piecing and Tessellated Designs, were born in Hilton Head brainstorming sessions. Jinny's approach to teaching quilting is unusual. She seldom provides patterns in her classes or in her books because she believes her students must understand the creative process so they can make discoveries of their own. Television and Internet appearances further extended Jinny's ability to share her methods and her color and design sense with wider audiences. She was the guest on several of Alex Anderson's Simply Quilts programs for the Home and Garden (HGTV) network. Jinny also did several Internet shows for Alex Anderson and Ricky Tims's The Quilt Show and was named their 2009 Quilt Legend. In 1982, Jinny became the first quilter to have her own line of fabrics when she began designing for V.I.P. by Cranston fabrics, including the border prints for which she is now famous. In 1985, she introduced her signature Jinny Beyer Collection for RJR Fabrics. The Jinny Beyer Studio near her home in Great Falls, Virginia, features her fabric line and specially designed needlework items. Jinny has received many honors. She was inducted into the Quilters Hall of Fame in 1984, and in 1995, she received the International Quilt Festival's Silver Star Award, "to honor a person who is active in the quilt world today, and whose work presents a lasting influence on today's quilting and the future of the art." 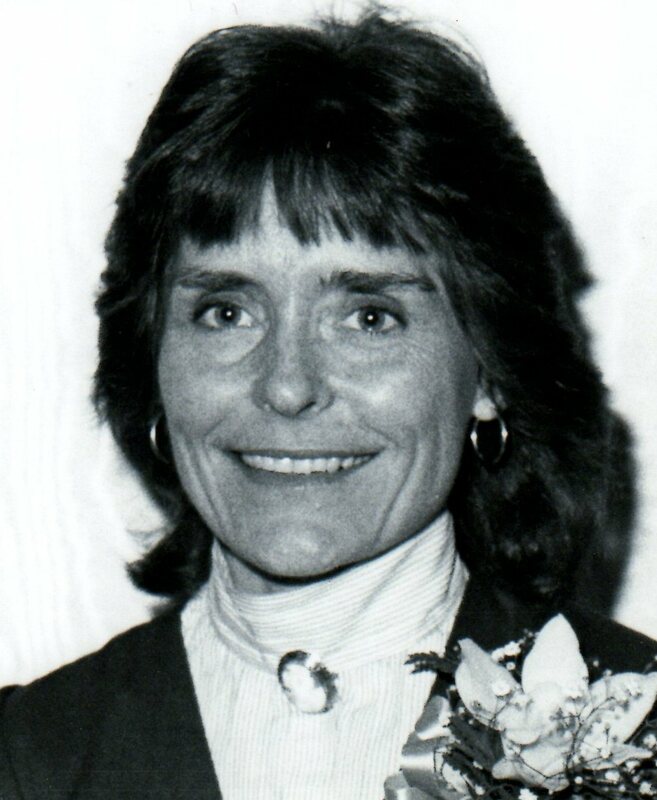 In 1996, she received the Michael Kile Lifetime Achievement Award from the International Quilt Market "honoring commitment to creativity and excellence in the quilting industry." The American Quilter's Society honored Jinny as it's American Quilter, voted by the readers of American Quilter magazine in 2004 summer issue. Jinny work is appealing and if often reproduced by her students and those who buy her quilt books and videos. The use of these materials to make quilts for personal use is acceptable, but when a friend alerted Jinny that a Chinese company was reproducing and selling versions of her Ray of Light quilt, she felt the need to stand up for the protection afforded by the copyright law. The case was settle out of court. Not interested in pursuing the Chinese company for financial benefit but only on principle, Jinny donated the settlement funds, beyond her legal costs, to various organizations that preserve quilt history, including the Alliance for American Quilts, The Virginia Quilt Museum, The San Jose Museum of Quilts and Textiles, The American Quilt Study group and the Quilters Hall of Fame. Jinny continues to be active, writing books, leading tours, sharing her love of quilting with others, and making beautiful quilts. "A quilt is a piece of art, and for me, there can be no compromise. I want to be proud of it and I want my children and their children to be proud of it." Sunflower quilt block made with fabrics Jinny acquired in India. The block is now a part of the collection at The Quilters Hall of Fame. Beyer, Jinny. 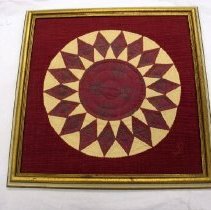 The Art and Technique of Medallion Quilts. McLean, VA: EPM Pulications, 1982. -----. Color Confidence for Quilters. Guala, CA: The Quilt Digest Press, 1992. -----. Designing Tessellations: The Secrets of Interlocking Patterns. Lincolnwood, IL: Contemporary Books, 1998. -----. The Gold Album Quilt, Elmhurst, IL Breckling Press, 2010. -----. The Quilter's Album of Blocks and Borders: McLean, VA: EPM Publications, 1980.